- Professional English speaking tour guide. 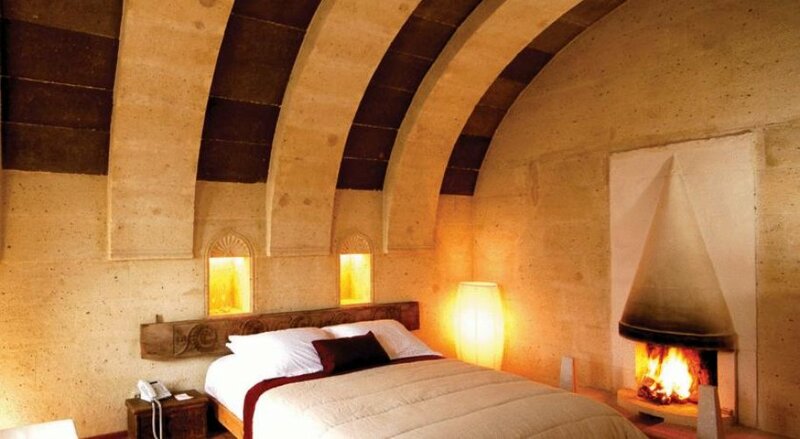 The Private North Cappadocia tour is a great itinerary, which covers the highlights of North Cappadocia. The day will be diversified in the sights you visit along the way from the natural beauties of the valleys that scatter the region and the unusual rock formations that make this area so infamous, to some of the oldest settlements in the area. You will also get a taste of some of the crafty skills of the locals when visiting the pottery workshop in Avanos. 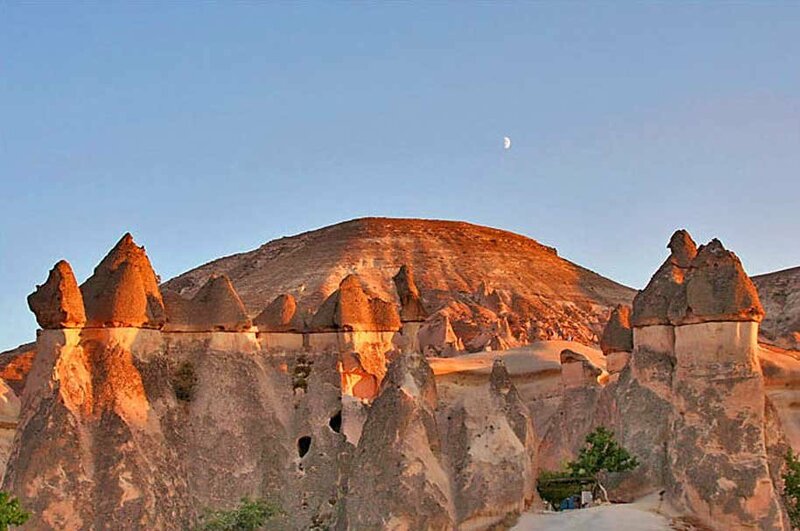 Combined with the Private South Cappadocia tour, you will get to see the best of the best that makes up Cappadocia. 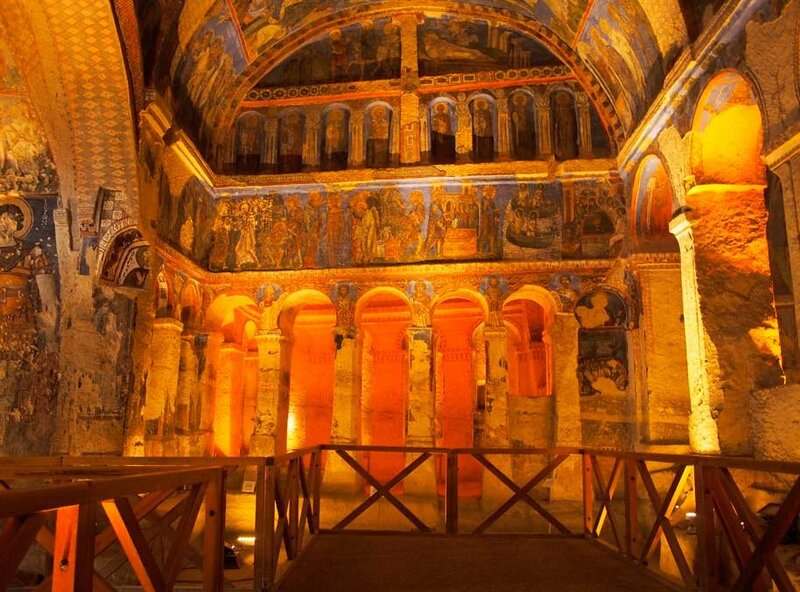 Goreme, an important Christian centre in the early years of the Middle Ages, now houses a vast number of monasteries, churches and chapels within its vicinity. 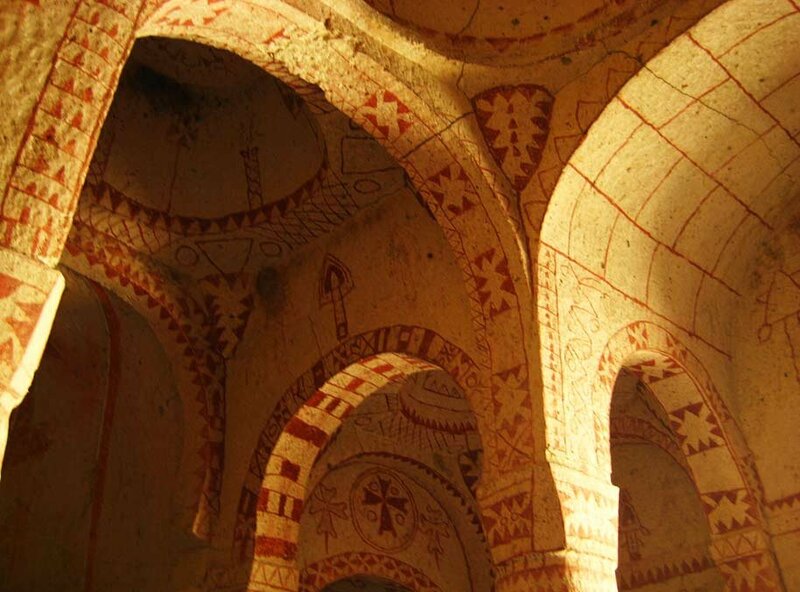 The Open Air Museum houses an exemplary array of these cave churches that still house some impressive frescoes dating back to centuries before. 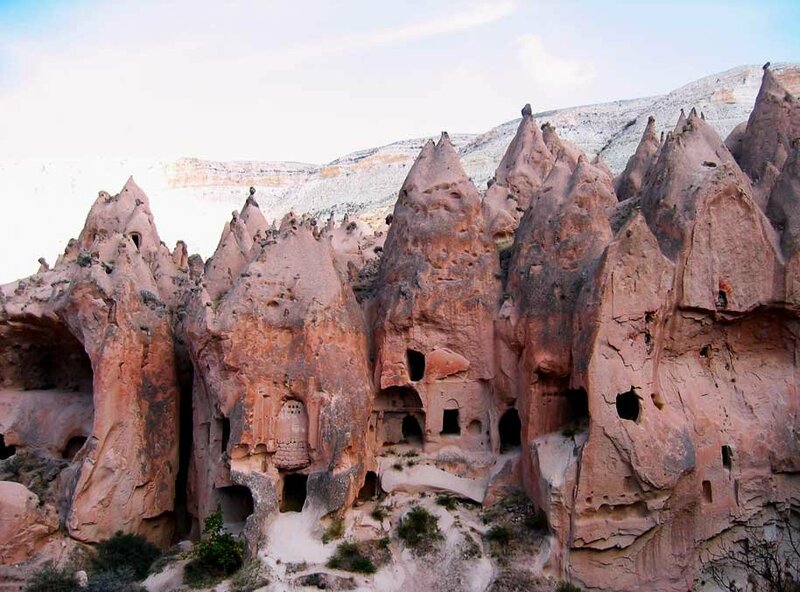 Estenepe is located between Uchisar and Goreme. The panoramic view you take in that over looks the town gives you a spectacular sight of the landscape that makes up Cappadocia. 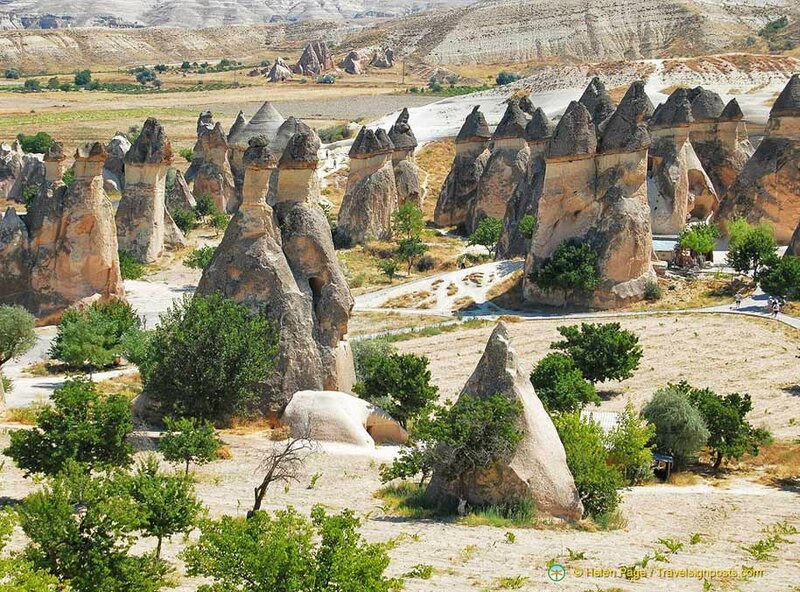 There are many of the fairy chimneys, plus the later developments that blend into the town. You will enjoy the view before heading off to the next stop along the way. Pasabagi is the best place to see the famous three-headed fairy chimney. 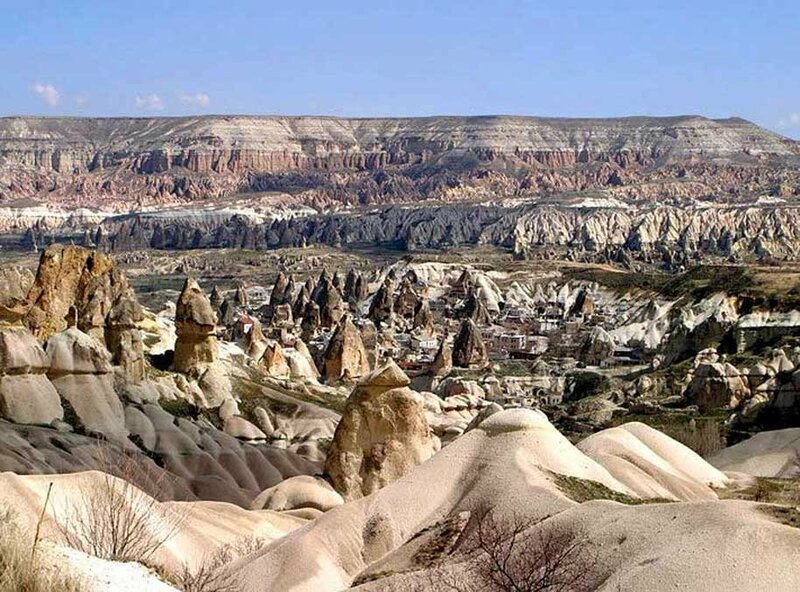 Pasabag, the Pasha's Vineyard is surrounded by incredible natural rock formations, which makes for a spectacular scene. Devrent Valley is situated on the Northern slopes of Aktepe, 1km from Pasabaglari (monk's valley) and 5km from Avanos. 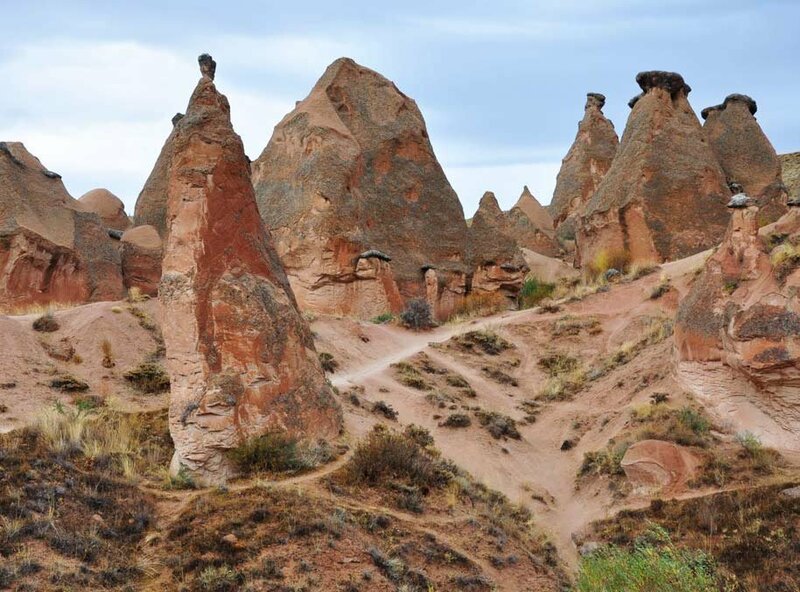 The ruins at Devrent Valley are spread over three valleys, which also house several pointed fairy chimneys with large stems.